Our partners at Tourism Vancouver have put together an inspired itinerary to help both locals and visitors experience a self-guided tour of Vancouver’s top film locations. In addition to Deadpool’s Vancouver, you can visit the beloved haunts of your favourite characters from Riverdale, Altered Carbon, Supergirl, The Flash, Arrow and Supernatural. 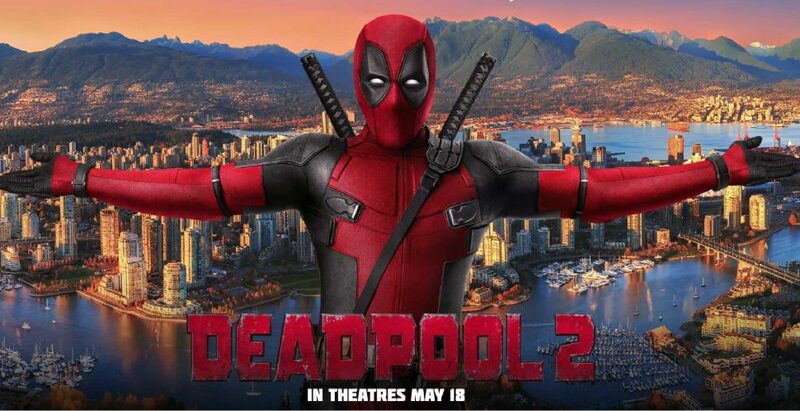 Deadpool brings “pool season back to the Great White North”* with two times the splash as Vancouver’s beautiful backdrops and dynamic downtown districts reprise their Academy Award-neglected “Best Supporting Location” role in the upcoming film Deadpool 2. *Fun fact: Vancouver is actually home to the world’s longest pool (137 metres/450 feet). As the unsung hero of Canada’s Scarred Superhero’s Silver Screen Sequel (try saying that three times fast), Vancouver’s historic, hip and happening ambience provides all the thrills of “real” Hollywood – only with four times the politeness and 1/16th the pollution**. **Fun fact: Vancouver is the third most livable city in the world.